← Bringing back DIY Jewelry ! It’s Friday and I feel grateful for the upcoming weekend! With the holidays and a time change upon us, a sense of urgency has set in. I have a strong desire to get the house ready for the holidays ! Any renovations can’t get done fast enough. In preparation for family time spent inside by the fire, I want my home looking it’s most welcoming. Soon shoppers will be racing down the streets and malls will be spilling over with people desperate with impatience. Instead of you being one of them, why not support artists and small business owners whenever possible ? The wonderful family run business Alena Kirby located in cozy Hudson, Quebec has a plethora of wonderful treats to offer your loved ones. I am particularly enamored with the Alex & Ani jewelry they sell on-line. I urge you to explore their website, or visit them on your way to spend the day wine tasting, apple picking, or antique hunting. NEW Alex & Ani collection, available on-line here ! The current hot trend is to personalize everything from your sneakers, to your Hermés poncho. Why not support an artist when personalizing your home or phone? I love the idea that I can select an affordable work of art I love on the site society6 and have it printed on a pillow, mug, or cell phone case. I plan on printing art for my walls, and making some unique and beautiful throw cushions for my newly painted basement. Be warned, you may lose track of time searching through these beautiful prints ! For those of you who love books, I have put together a list of fun quick reads ! Elin Hilderbrand has always been known as the “Queen of the beach read”. 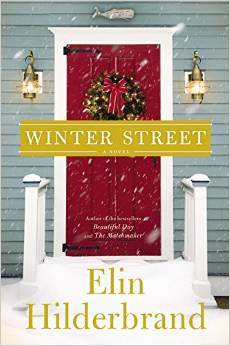 Her latest novel Winter Street is Maeve Binchy-esque in feeling. A family gets together for the annual Christmas party and much drama ensues. This book is a personal love story to family, rum, and an Irish Christmas. I am a huge fan of the brilliant and effervescent Lena Dunham. Her book does not disappoint. 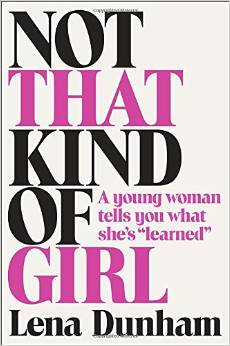 Her poetic and humourous short stories bring you into her very personal world and remind you of your own story, when you began life as a curious girl. Not that her book is only for women! Her brave and honest writing is universal. This beautiful book stayed with me for days. This story is a spin on the usual “boy meets girl” story, it is a rom-com with a twist! This is the true story of a Married White Female who has just moved to Chicago and is seeking a best friend. She decides to go on 52 “dates” over the course of a year. 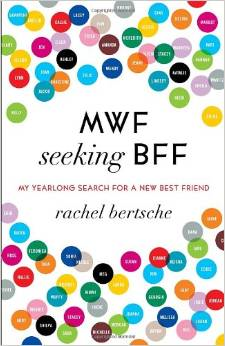 Not only is the concept fun, but the writer incorporates fascinating research on how to make friends, and why friendship is so important. This funny novel is actually a favorite of Elin Hilderbrand’s. I found out about it from her recommended book list. 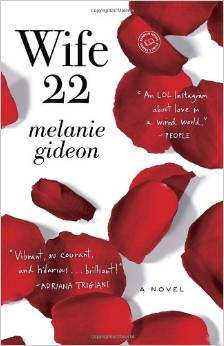 Wife 22 is the story of a woman who is feeling a sense stalemate and decides to answer an anonymous questionnaire that ends up changing her life perspective. 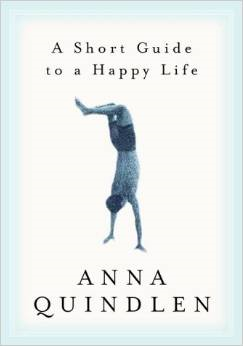 This essay by Anna Quindlen is a quick ode of appreciation to all that is beautiful and truly meaningful in life. This is the book I am currently reading and loving. It is about a woman who moves to New York to work at a popular food magazine. She has the gift to be able to identify whatever ingredient she is fed, but refuses to cook due to a personal tragedy. 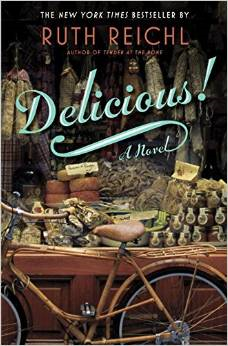 It is peppered with fascinating characters and delicious food descriptions. I am grateful for upcoming creative projects with some fabulous people, quiet time to read, and the amazing people I get to sprinkle my life with. 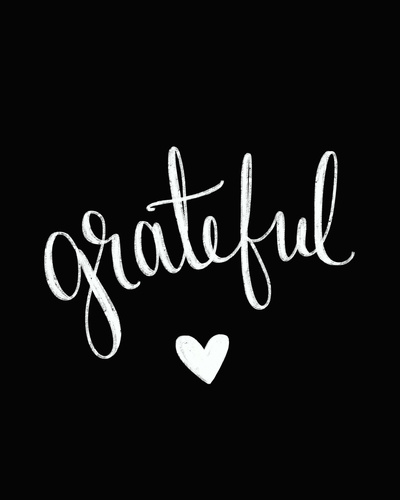 It makes me happy that the feeling of gratitude is so prevalent that even on Facebook many are writing about the things they are grateful for every day. Awesome! A great list of suggestions – Lena Dunham is on order, but I’ll keep your others in mind. Good luck finishing up projects, I can NOT believe how quickly the holiday season is approaching! For is to be healthy and able to enjoy what life offers, to deal with challenges it throws our way, to take care of the people I love, and to have the possibility to dream and make plans. I am super grateful for my sister!!! You are the best! Thanks for the kind mention of our little store in Hudson / Vaudreuil. I, too, have wasted many an hour on Society6, so fun. Love you! 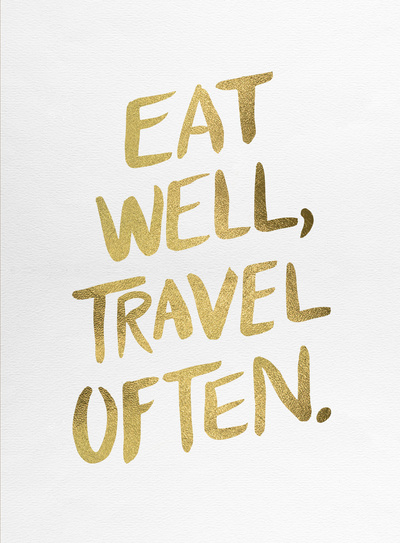 I’m grateful for family and friends, my health and freedom to follow my dreams. Very grateful for you Angelique and your beautiful blog.